Catholic News World : #Clocks Go Back 1 Hour in most of North America Nov. 4 at 2am - Remind your Friends - Share! 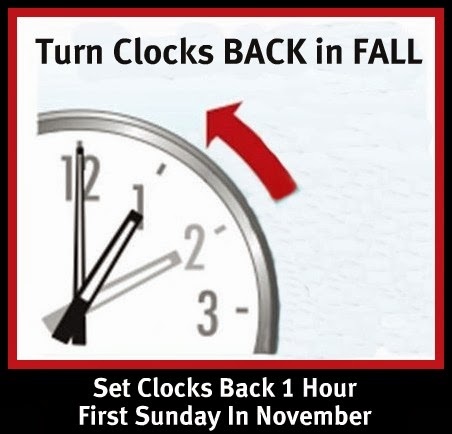 #Clocks Go Back 1 Hour in most of North America Nov. 4 at 2am - Remind your Friends - Share! CLOCKS GO BACK 1 HOUR this SUNDAY NOVEMBER 4, 2018 at 2 am. In most of North America Daylight Savings time ends and the clocks go back 1 hour. This means you can sleep in 1 hour before going to Church. Here is a FUNNY Video about the Time Change to Remind you not to Forget Church!